This is my "Reverie in Japanese". It didn't make it into SAQA's Wide Horizons, and I've learned a couple of things here. And then, more important to me, I realized that I do not really enjoy making large art quilts anymore, at least at the moment. 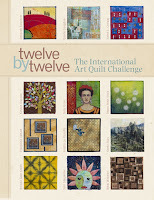 I'm going to concentrate on what I like best, small, and colorful, art quilts. conclusion: toujours faire ce que l'on aime de faire :-) ! 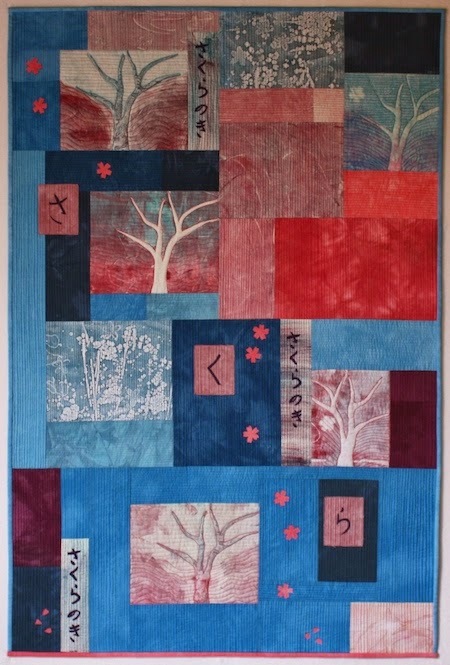 J'aime bien ce quilt aux lignes de matelassages si serrés. I love it - for what it is worth. It is getting so competitive to get into these shows now. It's good to discover what you do like doing and I can see it from both perspectives, I love the large design but I can also see some beautiful smaller ones. I love it too, but what really counts is how you feel about it. I'm with you on liking small art quilts the best. They are like little bursts of energy that give you the chance to play with color or design ideas. 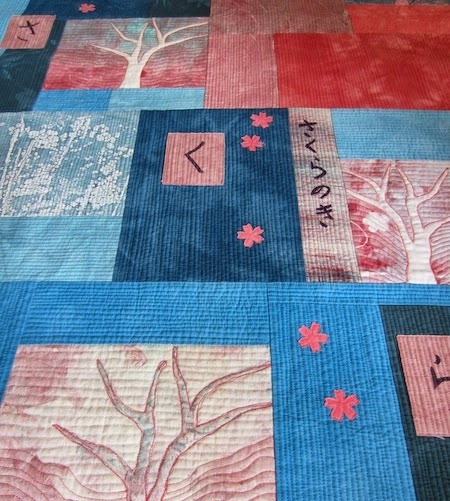 The soft blues and burgundy of your quilt are so harmonious together.